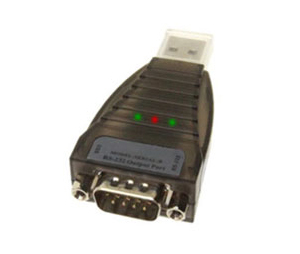 This is the PRO version of our standard mini USB to serial adapter. Unlike the standard version this PRO version is designed around a high performance and very reliable chipset (FT232RL from FTDI) so you can use it with all operating systems without problems (even Windows 7 32/64-bit) and its also compatible with the majority of serial devices on the market. With its small size this adapter fits in a pocket or laptop bag making it ideal for mobile applications or on the road. It can be used with desktops and laptops in any industrial, laboratory or commercial environment as well as with most consumer products. After installing the drivers (downloadable from our website) the adapter works as a Plug'n'play device. Each time you connect the adapter to your computer's USB port a virtual COM port will be created in the operating systems Device Manager. This virtual COM port can be use as if it was a standard built-in COM port. The drivers for the chipset allows you to adjust several port settings such as flow control, data bits, baud rate and the COM port number. 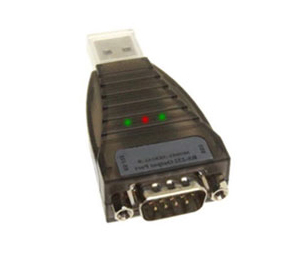 This USB to serial adapter has LED indication lights which indicate if power is provided to the adapter and it also indicates when communication is present.